With better healthcare facilities, people are living longer and enjoying retired lives. But as one gets older, the natural wear and tear of body organs also increases. The same applies to dental health. 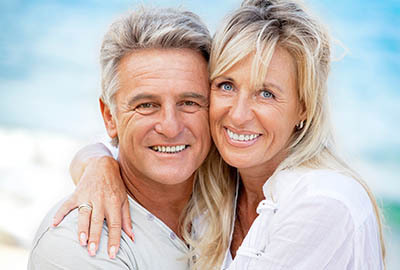 With increasing age our dental assets also become more and more vulnerable. Did you know that medication to treat other bodily disease can also be detrimental to one’s oral health?This situation demands an ever-increasing amount of attention to dental health. Poor dental health can cause difficulty in chewing, smiling, and speaking correctly. Inability to chew adversely affect a person’s bodily health and resistance and increasing vulnerability to dangerous diseases like diabetes and coronary (heart) disease. Inability to pronounce words correctly, and a marred smile, severely detract from your social effectiveness and well-being. Limitations can also cause a sense of deprivation and gloom, a very painful condition in old age. How can you avoid such a situation overtaking you? Keep on reading to know the secrets to enjoying a healthy and active lifestyle in old age. With decreasing organic resistance, you need to step up your attention to prevention of disease. It is a catch 22 situation. Weakening health brings vulnerability of general and oral assets. Poor oral health can lead to further degradation of body resistance. To avoid getting into this vicious circle one most useful hint for the elderly is “Maintain good, regular oral hygiene”. In retired life, you plenty of time to kill. Why not use some of it to keep you healthy. Step up your oral (and general) hygiene practices. Unfortunately, old age also brings a tendency to procrastinate. You must defeat this tendency. Brush and floss AT LEAST twice a day, if not after every meal. Use a soft bristled toothbrush so as not to harm your gums. If brushing and flossing is not possible in a certain situation, rinse your mouth vigorously with water after every meal, snack, or drink. These measures will prevent plaque deposits building up. The next most important step is regular visits to your dentist. Again avoid delaying appointments. No amount of self-hygiene can prevent plaque-the root cause of most dental problems. The dentist will be able to remove plaque from areas where your brush and floss won’t reach. Your dentist may be able to see signs of other impending disease problems. Sometimes he or she may be able to detect symptoms of non-oral diseases and give a timely warning to see the physician. That is a major help. Health problems tend to increase for the elderly at a time when they can least fight them. Here are some of the dental health threats to older people. Caries– or cavities are more and more likely. Avoid formation of these through good oral hygiene practice. And if you fell the slightest sensitivity to hot, cold, or sweet, do not ignore it. A study has reported that about of third of senior citizens in the US continue to live with cavities in their teeth. It is useful for you to remember that in old age, cavities tend to form not only at the chewing surfaces of the teeth, but at the root, particularly near the gum line. Gum disease– it is probably the next major oral health problem faced by the elderly. Unchecked and treated it can lead to costly treatment, and in the worst case, to loss of teeth.This disease is again caused by plaque which was not cleared by routine hygiene measures. After good oral hygiene, and frequent use of mouth-wash, visits to dentists are your best protection against this disease. Oral cancer- Oral cancer is a major concern and is far more prevalent at ages above 65. Good hygiene and avoiding tobacco / alcohol will help. Early detection offers the best chance at controlling this killer disease. Your dentist can screen out cancer during your regular dental examination. Dry mouth (xerostomia in technical jargon) is often faced by the elderly. It makes one uncomfortable. But more than that it exposes your teeth to caries attack which would otherwise be mitigated by your saliva. Bad odor- Gum disease in its various stages can cause a very unpleasant bad odor in the mouth. Frequent mouth washes may help, but a visit to the dentist will check and clear the root cause.